Maggie Pill Mysteries: The Boonies--Who Knew? Boonies, boondocks, down in the boondocks. Who'd have guessed the term has nothing to do with docks? It comes from the Philippines' Tagalog language: bundok, meaning mountain. It was picked up by U.S. military folk and apparently became associated with "way out there where the guerrillas are." 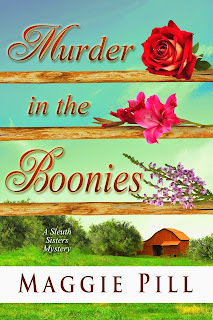 When I titled Book #3 MURDER IN THE BOONIES, someone asked if most of America would known the term boonies. I think they do, because of Billy Joe Royal's song, "Down in the Boondocks," and an assortment of Vietnam-era movies. 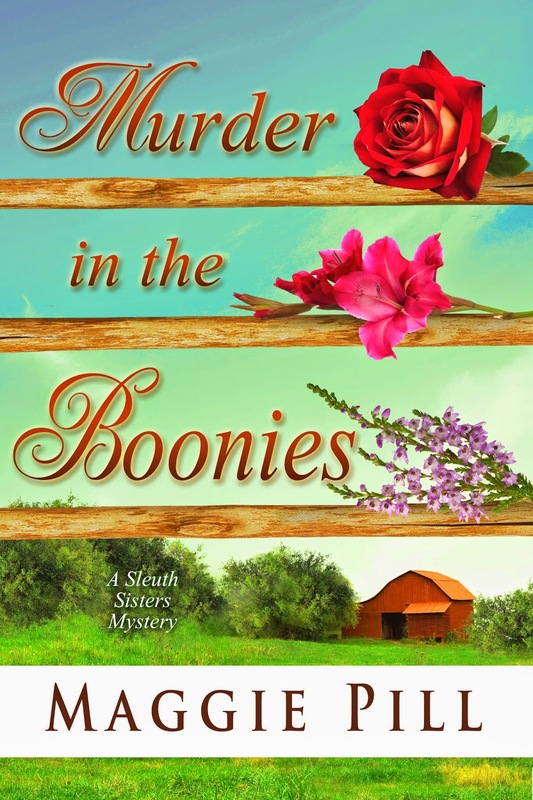 In Book #3 we learn that Barb, Faye, and Retta were raised in the boonies, ten miles from town. Typically, when they were kids Barb never thought much about where they lived, Faye loved everything about the farm, and Retta felt picked-on because she missed all the action going on in the big city of Allport. Now they return to the farm, where a family is missing, a bunch of farm animals are abandoned, and some killers are prowling. It isn't all roses out in the boonies, but I think you'll enjoy it.